There are many reasons to not use Google Analytics. Some of the reasons include - SEO footprint tracing, page view limitation and data spying. So these reasons limit many large corporations and bloggers from not making use of Google Analytics. Here are some of the alternatives bloggers can use for collecting traffic data from their website. This opensource project is offering some of the features similar to Google Analytics. This is self hosted web app that you need to install on your webserver. You have to either use the Cpanel script installer or you have to manually download and install this script. Piwik shows the data in small blocks inside the dashboard similar to how you view Google Analytics. 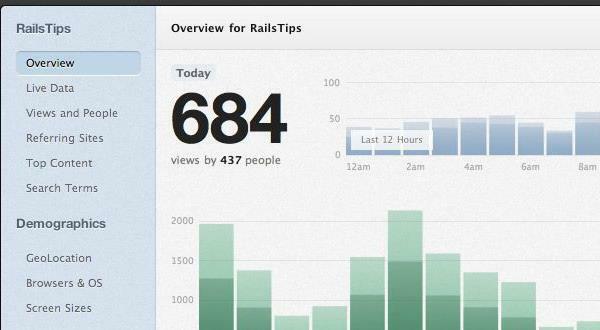 You can also get in-depth data related to user behavior. It does however collect some of the most basic stats that can be useful for you to understand high traffic posts. Piwik doesn't have the features like heatmap. So this may not be a solution if you are trying to learn customer behaviour on your website. However you can collect a lot of valuable data using Piwik. Good thing about Piwik is it's free of cost and you don't have to pay for any updates or license on server usage. This is a good option if you don't want to use Google Analytics for your website. Most of the Analytics apps limit you with the amount of traffic you can record with a free account. W3ccounter is one such service that lets you track limited amount of traffic using free account. You have to upgrade the account to cheap pro version once you reach the threshold. 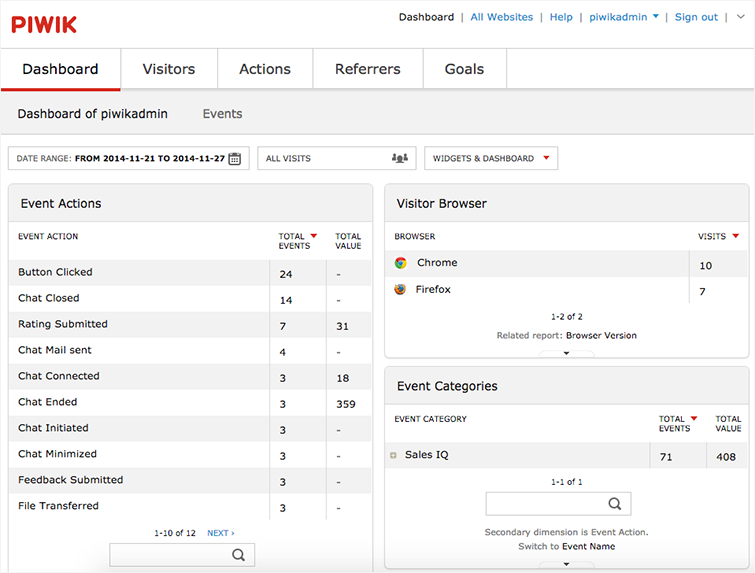 You'll find most of the Analytics features similar to Piwik and Hitstats. There is however, lack of in depth data which makes you think if it is a worthy alternative. The pro account will offer you features similar to Google Analytics. It may not be good for those who have high traffic on their website. In such a case you may observe that the feature set is more limiting. The default account is free to sign up to and you can use it till you hit the threshold. A good option for those who have relatively new blog or website. This webapp has more of a minimalist approach towards Analytics. It includes some of the basic stats features and doesn't ignore the stats that helps analysts. The app however is not free and the basic plan starts from 6$. Gauges takes a lot of features from Google Analytics itself. And that is one reason you may not find lot of things missing from the dashboard. You get the heatmap and the in-depth data from the webpage. Only thing missing is that free plan is no longer being offered. And you're limited with the free plan only for 30 days from the sign up date. The web app allows stat sharing with a team and you can also set it to track goals. It may not be the perfect alternative to the Google Analytics, but it is definitely an app worth paying for if you're serious about Analytics. Most of the real time stats don't collect heatmap signatures. However, Clicky makes use of real time stats that also collect heatmap. The free plan has limitations and only allows you to use the service for 30 days or upto a specific traffic threshold. After the threshold you have to purchase the plan. The plan starts from 9.95$ and it offers pro version features on those plans. 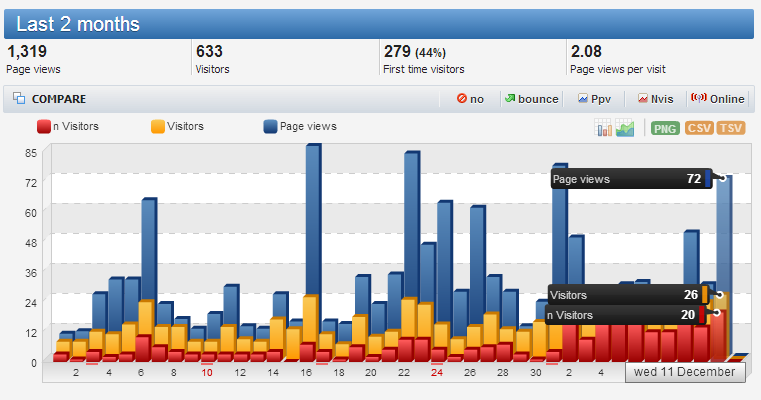 If you want an alternative to Google Analytics that shows in-depth features then Clicky is your option. It competes with some of the popular analytics apps in terms of features and price. I suggest you to check this analytics service if you're looking for premium level of stat services. This option may not be for every website as this is a WordPress Jetpack plugin. So, if you are hosting your website with WordPress CMS then you can use this plugin. WordPress Jetpack Stats requires you to enable this option before using it. Once you enable the stats within the Jetpack you can start collecting data from the website. It collects some limited amount of data - Search keyword, posts, search engine, hyperlink clicks and traffic stats. You may find that there are a lot of things missing in this stat service. You may not find advanced features such as goal settings, real time stats and heatmap. So you're just using the basic functionality within this analytics plugin. Only good thing about this plugin is that it is free of cost. And you don't have to go through complicated options. All you have to do is install Jetpack plugin and enable the stats option. Most of these are paid apps but you get some enterprise level features from them. Many other Analytics app out there may offer a bit more or less features. There are also some of the invite only analytics apps which are focused on the statups and enterprises. There are plenty of Analytics services on the cloud. These Analytics services focus on varying regions such as website, apps and server. Depending on the type of Analytics application that suits your requirement you can check out above listed apps.